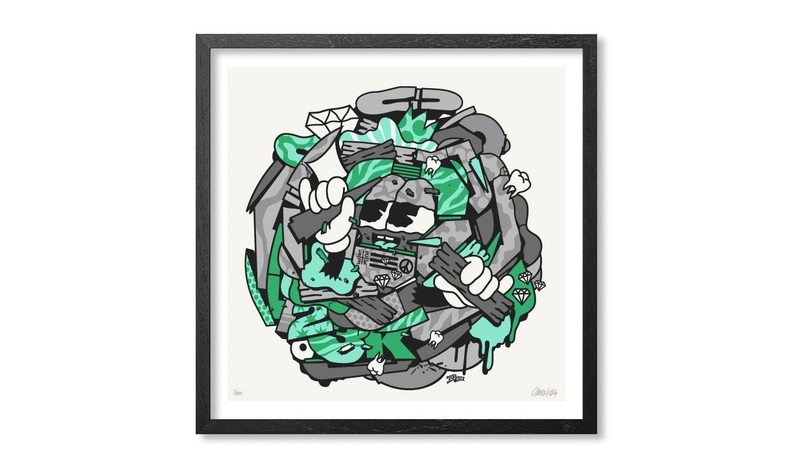 “Mix Mash Up Green” by 123KLAN is an 18”x18” signed and numbered 8 color screen print on 100lbs French Cover Fine Art Paper. 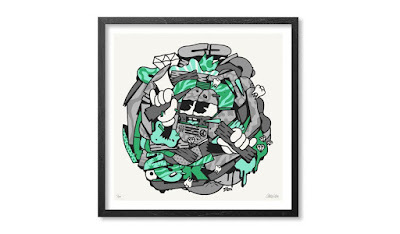 What’s great about this piece is that each print is signed by both members of 123KLAN, Scien and Klor! Limited to 200 pieces, collectors can purchase this sweet new print now at the 123KLAN online store for $115.